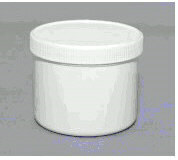 Non-graduated mixing pots with lids, 250ml in several pack sizes. Ideal for measuring larger amounts of Epoxy Resin and Hardener accurately on digital scales. Once mixed pour into a larger area such as a roller tray to prevent heat build up. The mixing pot can be cleaned with absorbent paper before the resin has cured. Please see our digital scales for accurate measuring under 'Tools' under 'Measuring equipment'.